Urmia Lake was the second largest hypersaline lake in the world and the largest terminal lake in West Asia prior to catastrophically losing about 90% of its surface area over the last few decades as a consequence of anthropogenic disruptions. Urmia Lake fills in a tectonic depression in northwest Iran and draws water from an average catchment area of 52,000 km2 with 13 perennial and seasonal tributaries. The salinity of the lake varies from 140 to more than 220 g L−1 and is a function of the imbalance between water inflow and evaporation. Urmia Lake’s water supply has diminished significantly over the last three decades, leading to a drastic reduction in the lake’s surface area and has driven the salinity upwards of 380 g L−1. Through geochemical profiles of water and sediment samples from Urmia Lake, we examine the role of regional geology in the lake’s water chemistry and sedimentary evolution. Grain-size analysis of the siliciclastic fractions from core top samples reveals that the majority of the Urmia Lake bottom sediments consist of silt and clay-silt particles. This distribution transitions to sand and silty sand in the NW part of the lake, where felsic intrusive and metamorphic rocks are present. This distribution pattern, which is also manifested as changes in the lithogenic, conservative elements and the chemical index of alteration (CIA), is attributed to weathering resistance of heavy minerals. The distribution pattern of conservative elements (e.g., Ti, Zr, Si, Al), as well as redox-sensitive and mobile elements (e.g., Fe, K, Rb, Sr), in the clastic fraction of the lake’s sediments signifies the role of regional geology in defining the chemical signature of the Urmia Lake sediment. In addition, the total organic matter content shows significant correlation with the distribution pattern of clay in the sediment, potentially indicating stabilization of organic matter on fine-grained particles. The concentrations of selected heavy metals (Ni, Cr, V, and Hg) in the surficial sediments indicate that the middle and southeastern part of the lake were moderately contaminated with mercury at the time of the analysis. A significant finding is that prior to the catastrophic loss of water accelerated in the last three decades, the Urmia Lake brine was classified as Na + K-Cl-Mg-SO4 during the 1977–1997 period. The ionic signature of the Urmia brine has drastically shifted to Na + K-SO4-Mg-Cl by 2010 followed by a doubling of the total dissolved solid (TDS) content. 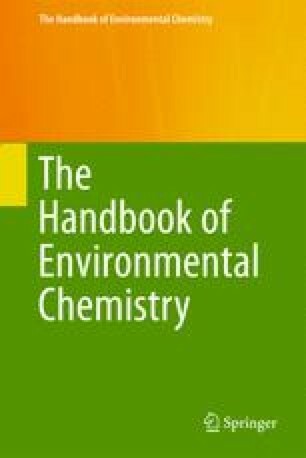 The online version of this chapter ( https://doi.org/10.1007/698_2018_359) contains supplementary material, which is available to authorized users. This research was funded by the Iranian National Institute for Oceanography and Atmospheric Science INIOAS-Urmia Lake-381-2-04 research grant awarded to Arash Sharifi and in part by the National Science Foundation grant EAR-1003639 to A. Pourmand. The authors would like to thank Dr. Vahid Chegini, the INIOAS research council, for his support. We are also grateful to Dr. Fereydoun Ghazban for his valuable scientific discussion during the early stages of this project. We are thankful to M. Hosseindoost for providing and arranging data and information on dams in the Urmia Lake watershed area.